Many grants and other funding help are awarded on a first-come first-serve basis. 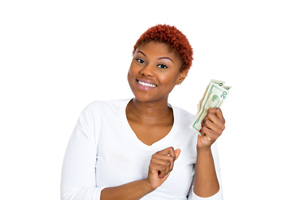 Don’t miss the opportunity to maximize your financial help. Complete your 2018-2019 FAFSA immediately to find out your funding opportunities for next year. The application can be completed at www.fafsa.ed.gov. Are you sure your application and award are complete? If not, download these instructions (link coming) to make sure you don’t miss out on getting help or loans to cover your balance this Fall. Check out Steps to Review Your Financial Aid. We’re happy to announce applications are available the Formation scholarship we all heard about after Coachella. Visit our “scholarships” section at gram.edu/finaid/ to learn more. Did you know there’s a chance that your Pell Grant could assist with the cost of Summer classes? You can find out more once you’ve submitted your Summer financial aid applications. Forms are available at gram.edu/finaid/. This entry was posted in money, registration, studentlife and tagged beyonce, finance, financial aid, loans, money, registration, scholarship, scholarships, student loans on May 16, 2018 by Jovan Hackley.